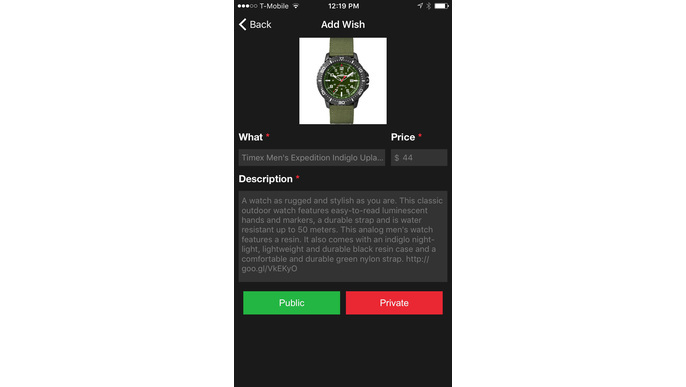 Making gifting easy and fun! 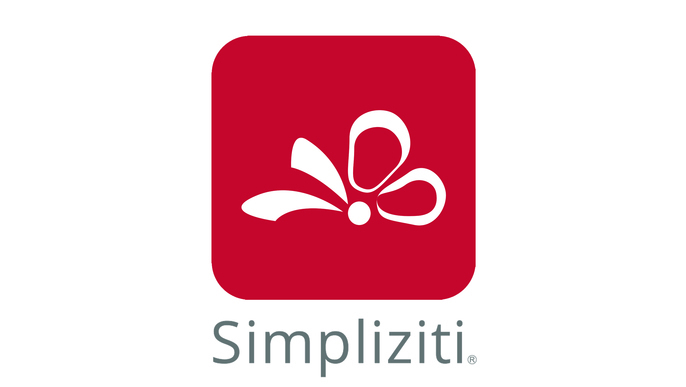 Simpliziti® is an application to help solve the pain of gifting. We give back as you receive with our non-profit partnerships. 15 backers funded this project with $ 10,070 USD ! 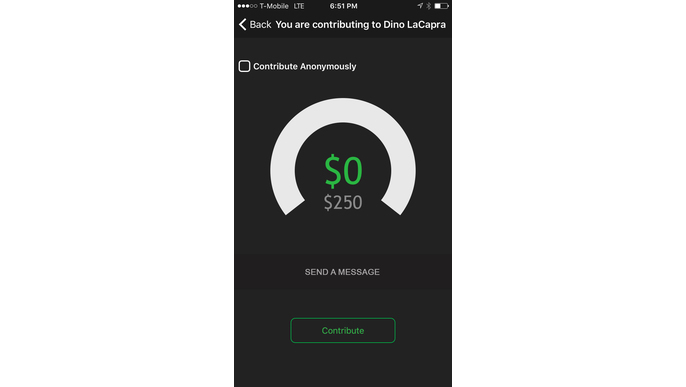 For your generous contribution, the Founder of Simpliziti will write a personal email to you. Your support is truly appreciated! 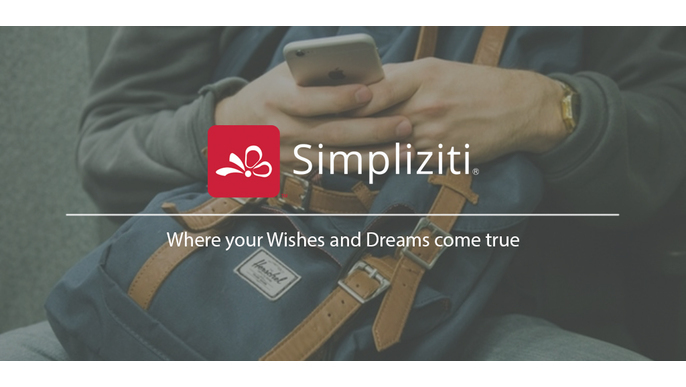 For your generous contribution, the Founder of Simpliziti will write and address a personal letter of thanks to you. For a generous contribution of $500 or more we will have one of our curators hand select a gift from our What's Trendy list and send it to you. In addition, our Founder will call you personally to discuss the business and its future. 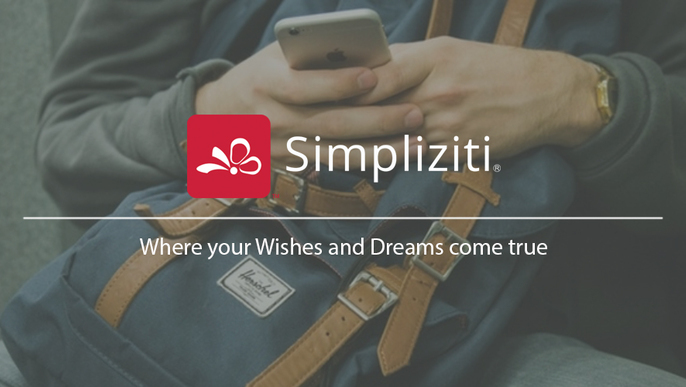 We created Simpliziti® out of the personal desire to know more about our friends and make it easier to gift to them. Life is a journey and it takes us around the world making friends and leaving a footprint. We didn't have a way to share in gifting with friends in a simpler way, like send a coffee to a friend (instantly). Our mission is to make it fun to gift and bring people closer together. We are joining Idea.Me in order to raise money that will go directly into the development of our "Good Karma" section highlighting some of the best and coolest non-profits around the world. The idea behind this section is to allow users to find an easier way to create good karma, by simply clicking and contributing. Want to plant a tree, buy a book for a child, or build a water well, this will be the place that allows you to do it on the go, even if it is only a $1 contribution. We have identified over 20 non-profits to start working with. Now it is our responsibility to develop the proper user interface and experience for both the users and non-profits. 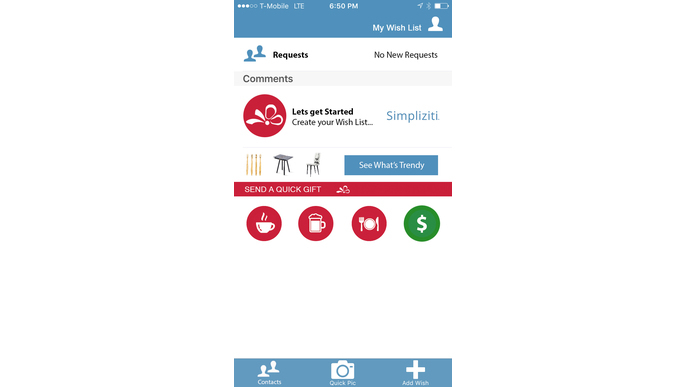 Simpliziti® is currently in Beta and available free on iOS and Android. You will be able to see the growth and changes to the application as we implement this new feature.